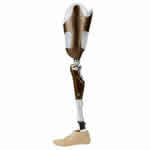 Our lower-extremity program is devoted to meeting the special needs of all levels of amputation. We provide unique socket designs and applications to Symes, Transfibial, Transfemoral, Hip Disarticulation, and Transpelvic levels. 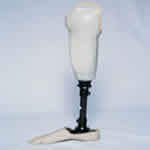 Our lower-limb prosthetics include: ultra-lightweight prostheses, energy-storing components, suction BK and AK fittings, narrow M-L fittings, endoskeletal and exoskeletal designs, hydraulic and pneumatic knees, preparatory prostheses, partial foot prostheses, and microprocessor knees and feet. 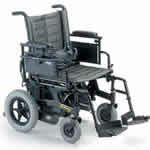 Good lightweight chair with the ability to set the wheels back to compensate for the loss of weight. This stops you over-balancing.